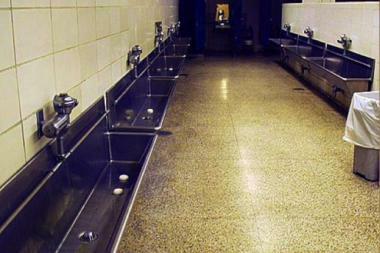 Wrigley Field may get a restoration, but the old men's trough urinals will stay. WRIGLEYVILLE — The $300 million plan to restore Wrigley Field upgrades everything from the concessions to the locker rooms, but one antique feature will stay: the troughs in the men's bathrooms. An upgraded stadium will include 40 percent more restrooms that will offer modern facilities — and a bit of a border between urinating men. But gentlemen looking for the nostalgic intimacy of those old-styled troughs will have the opportunity. "The troughs are staying," Cubs Chairman Tom Ricketts said Tuesday to a laughing crowd at D'Agostino's Pizza. Ricketts said Wrigley Field is "by far the greenest park in baseball" partly because of day games and partly because of those troughs, he told attendees of the Lakeview Chamber of Commerce's annual Lead Off Luncheon on Tuesday. He joked that while he loves socializing during Cubs games, he hides his face when walking past the long lines outside restrooms. He's touted more bathrooms in the restoration as a way for fans to watch baseball more and stand in line less. The Cubs have been working with the city and Ald. Tom Tunney (44th) in hopes of receiving relaxed restrictions to move forward on a $500 million investment in the stadium and the surrounding neighborhood. The team conducted a survey two years ago about the troughs, and sports blog Deadspin declared the old-style urinals "Wrigley's most iconic feature." The bathrooms have long been ridiculed as an unsavory aspect of watching games at the stadium. 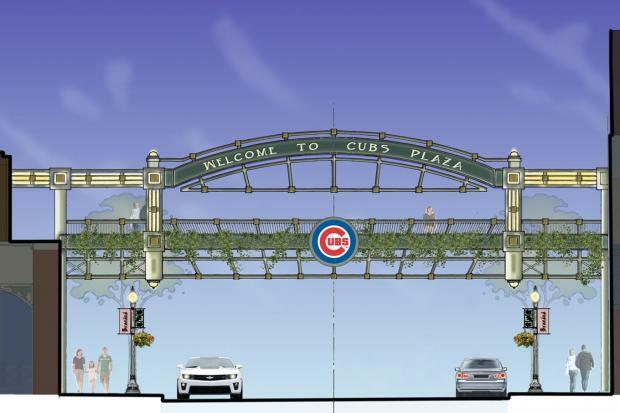 But they're a part of what keeps Wrigley Field feeling like Wrigley Field, said team spokesman Julian Green, explaining the decision to keep them. "It's one of those longtime fan favorites in our ballpark," he said. "It's tradition." Tradition, perhaps, of the shared suffering of Cubs fans? No, Green said. More bathrooms will put a stop to that. "Mutual suffering will end," he said.